April Fools' Day just happens to be one of Judy Moody’s favorite days of the year. And this year she’s got one thing on her mind: the perfect prank she’s going to play on Mr. Todd, thanks to an awesome present from her brother, Stink. Gotcha, Mr. Todd! 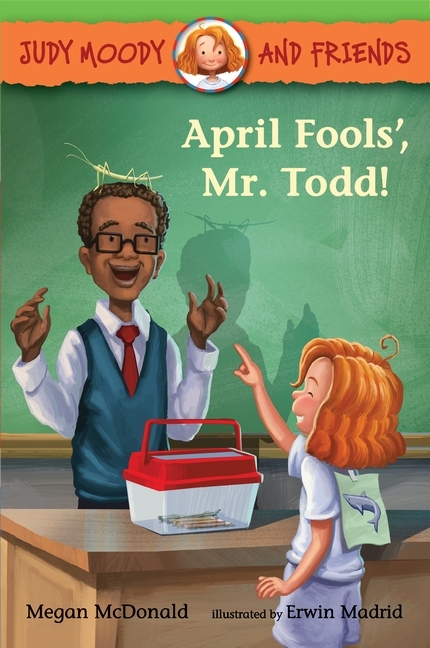 But in all the excitement over spaghetti trees, April fish, and fools' errands, Judy worries that something else will be forgotten by Mr. Todd and Class 3T altogether: April 1 also happens to be Judy’s birthday! Gulp! Will her friends remember in time, or will Judy be the fool this year? And just what might Mr. Todd have up his sleeve?